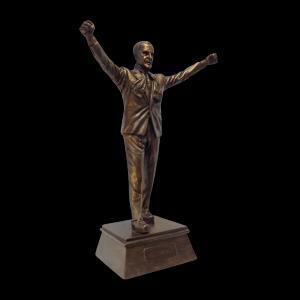 This is a scaled down resin replica of the world famous sculpture, by Tom Murphy, that stands outside Anfield Stadium. 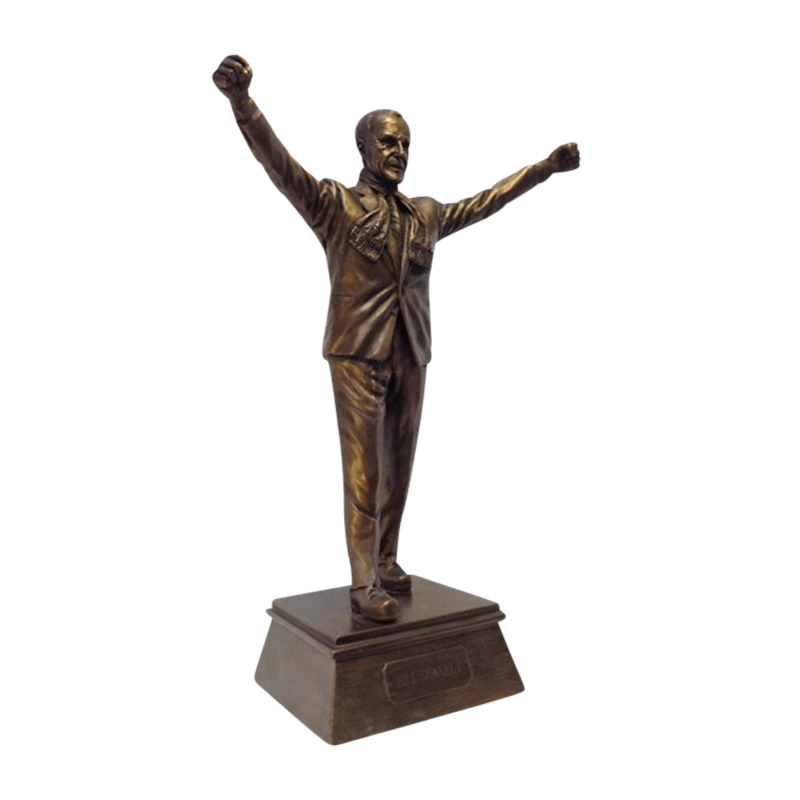 The sculpture depicts Bill Shankly at the height of his success at Liverpool FC. DIMENSIONS: 17″ (43 cms) tall, 12″ (30 cms) wide, 6″ (15 cms) deep.